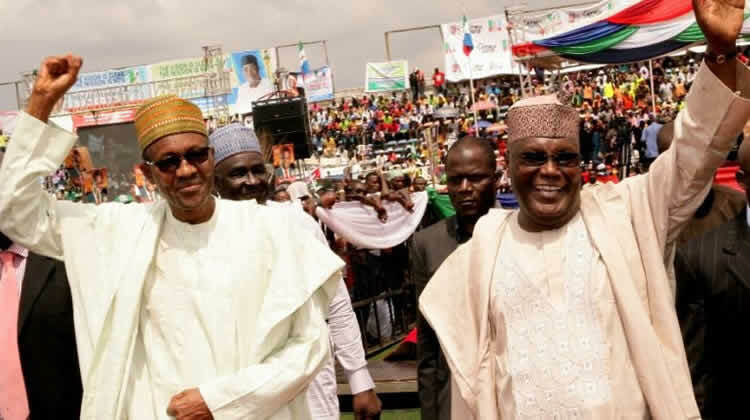 Alexander Okere and Tunde Ajaja of The Punch take a look at the antecedent of President Muhammadu Buhari’s support base in the North-West and North-East, and highlight some factors that will test his popularity in the zones during the February 16 presidential election. In the history of presidential elections in Nigeria, the 2019 election which is exactly seven days away will for many reasons be one of the most keenly contested. This is according to observers and political analysts. Even though a total of 73 political parties fielded candidates for the election, according to the information released by the Independent National Electoral Commission, observers have pointed out that the contest will mainly be between the candidates of the ruling All Progressives Congress, President Muhammadu Buhari, and the opposition Peoples Democratic Party, Alhaji Atiku Abubakar. No doubt, it’s the second time in the current Fourth Republic that two Northerners will be the topmost contenders at a presidential election; the first time was 2007 when Buhari and late President Umaru Yar’Adua met at the poll. That said, political analysts and a cross-section of the electorate are of the view that the 2019 presidential election will be a true test of Buhari’s reported popularity in the North-West and North-East geopolitical zones. For example, in the 2003 presidential election, even though a Southerner, Chief Olusegun Obasanjo of the PDP polled 24,456,140 votes to win the election, Muhammadu Buhari, who was then the All Nigeria Peoples Party’s candidate, came second with 12,710,022 votes, the bulk of which came from the North. Buhari won six of the seven states in the North-West. Specifically, he polled 6,631,090 votes while the PDP polled 2,764,846 votes. In Bauchi State, Buhari scored 1,680,542 while Obasanjo scored 617,291. In Borno State, he scored 727,595 while the PDP scored 380,875. In Gombe State, he scored 516,081 while the PDP scored 452,328. In Yobe State, he scored 286,975 while the PDP scored 135,807. Meanwhile in Adamawa, he scored 285,151 while the PDP led with 660,780. And in Taraba State, he scored 198,023 while the PDP led with 694,527. In 2007, Buhari ran for the office of the President for the second time on the platform of the ANPP, against the candidate of the PDP, late Umaru Yar’Adua, and 16 others. Meanwhile, in the 2015 presidential election; his fourth attempt, Buhari, who was the candidate of the APC, polled 15,424,921 votes, while Jonathan, the candidate of the PDP, came second with 12,853,162 votes. Ologbenla said, “As a military administrator, he engrained discipline in the minds and actions of the people, through the War Against Indiscipline at that time. That endeared him to some people among the old. “Now, the phenomenon of Buhari among the people was largely due to his being a grass roots man. The Talakawas in the North, the poor and the needy throughout the North as well as South-West admired him for those qualities. Buhari is a man that is seen as incorruptible in the sense that he doesn’t think he needs more than he has; he is not greedy for material wealth and I think even the poor and the rich can actually assess and value these qualities in any human being. “When it comes to religion, Buhari is also pious. He is very religious; he doesn’t drink and you can see that he is also not obsessed with women. So, I think the man has been socially, religiously and, I will say, economically moderate in all that he does. So, one can give him respect for these and I think they are part of his influence in most parts of the North. “But this election will be keenly contested. 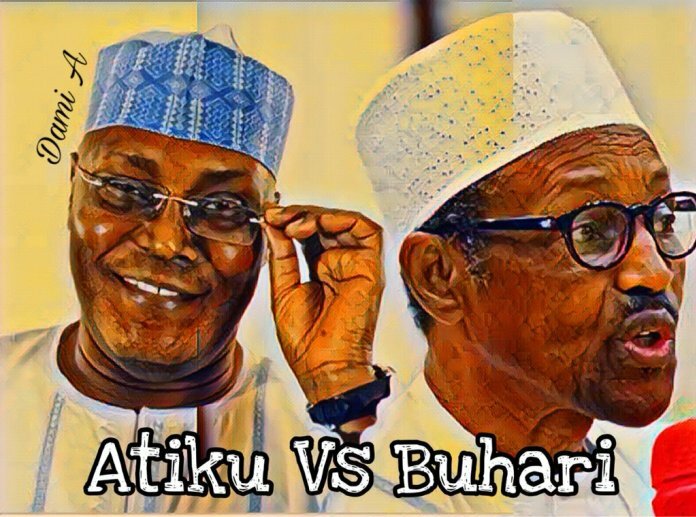 It is not going to be easy for Buhari because I think Atiku will give him a good run for his money. Atiku is also popular among the elite; some of the elite are corrupt and they will never like Buhari no matter his good qualities. Some of them hate him with passion and they don’t want him to continue. Also, Dr Kayode Esuola, a political scientist, said the presidential election in the North would not be a walkover for the President given that the two topmost contenders are from the North. He said, “If we go on that assumption that elections are won on the basis of patronage, what we are likely to get is that the Buhari’s cult following is gradually melting and it’s not going to be a walkover for him this time round, given that the two of them are from the North. “Followership can be of two types; it can be that which is huge and based on ideology, and it can also be that which is based on what you want to call dogmatic political affiliation. “Given the fact that the people of the North are becoming increasingly educated, more civilised, politically savvy and liberal beyond what it used to be some years ago and are becoming exposed in all the instrumentality of communication, including the social media, the cult following for any candidate would gradually dissolve and move from dogmatic political affiliation to ideology-based. Also, in his assessment, a lawyer and former member of the House of Representatives, Dr. Ehiogie-West Idahosa, explained that Buhari enjoyed the goodwill of the poor, who made up a large chunk of the population in the North, due to his charisma.